 Sheep anti Human Prealbumin antibody recognises prealbumin, also known as transthyretin, a homotetrameric serum and cerebrospinal fluid protein which acts as a carrier for the thyroid hormone thyroxine. Each monomer is a 127 amino acid polypeptide. Prealbumin is synthesised principally in the liver and choroid plexus from where it is secreted into the serum and cerebrospinal fluid respectively. Sheep anti Human Prealbumin antibody is also available as nephelometric grade whole serum and in bulk quantities. Please enquire for further details. Antisera to human prealbumin were raised by repeated immunisation of sheep with highly purified antigen. Lancaster, M.A. et al. (2013) Cerebral organoids model human brain development and microcephaly. Nguyen, D.N. et al. (2016) Oral antibiotics increase blood neutrophil maturation and reduce bacteremia and necrotizing enterocolitis in the immediate postnatal period of preterm pigs. Innate Immun. 22 (1): 51-62. Royer, P.J. et al. (2010) The mannose receptor mediates the uptake of diverse native allergens by dendritic cells and determines allergen-induced T cell polarization through modulation of IDO activity. J Immunol. 185 (3): 1522-31.